"Haiku is a high-end restaurant in Beijing. 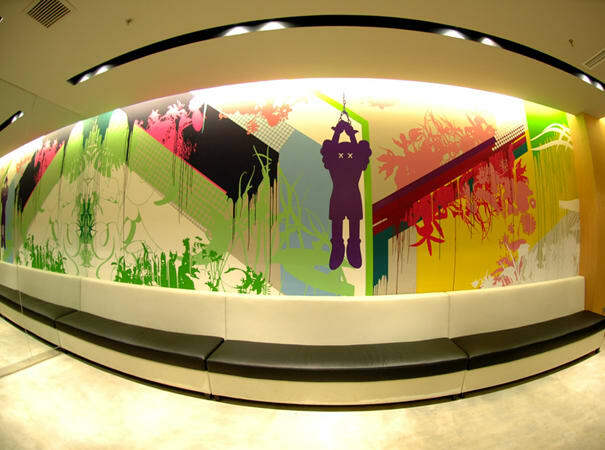 We were commissioned to do this wall; at the time, we were working with really bright color palettes, and we wanted it to reflect hip-hop fashion and hip-hop culture. We wanted to bring that into our aesthetic aand bring in a whole different conversation with the piece."